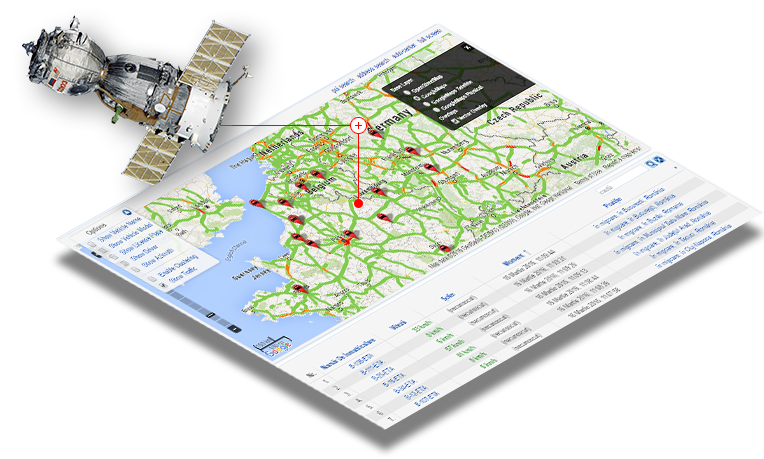 SafeFleet is a fleet management software created to offer you a full picture of the activities you perform. Through the advanced functions, SafeFleet offers you the possibility to handle in real time the equipment, the employees and the resources. We take into account the specificities of each industry or company, therefore SafeFleet provides various functions based on the use of sensors, but also additional options for improving the fleet management. 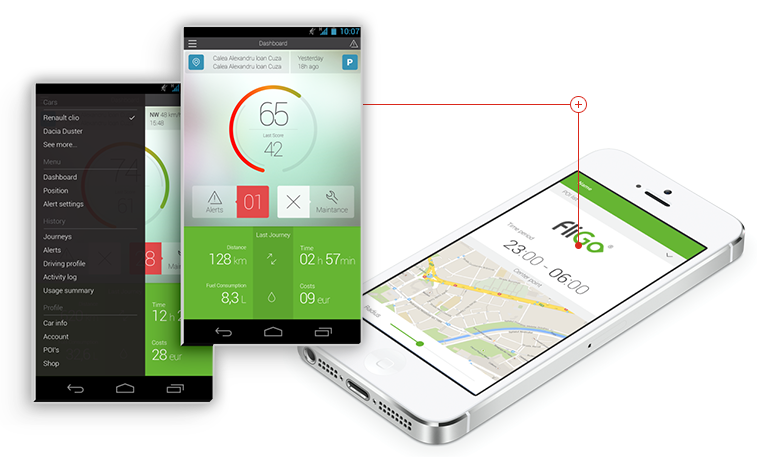 fliGO is an app for iOS and Android developed by SafeFleet, which allows the tracking of the vehicle directly from the mobile phone. This app allows GPS-based monitoring, sending of alerts in real time and helps in improving the driving style and avoiding thefts. If you do not want the updating of the current position of vehicles to be dependent on the GSM signal of the data operator, you can choose the updating through satellite. Thanks to this function, the position is constantly updated, regardless if the vehicle travels through tunnels, is parked in underground parking spaces, travels through mountain areas or areas without GSM signal. This characteristic of the SafeFleet Portal is extremely important to customers whose activity involve transport of live animals, pharmaceutical products and perishable goods. 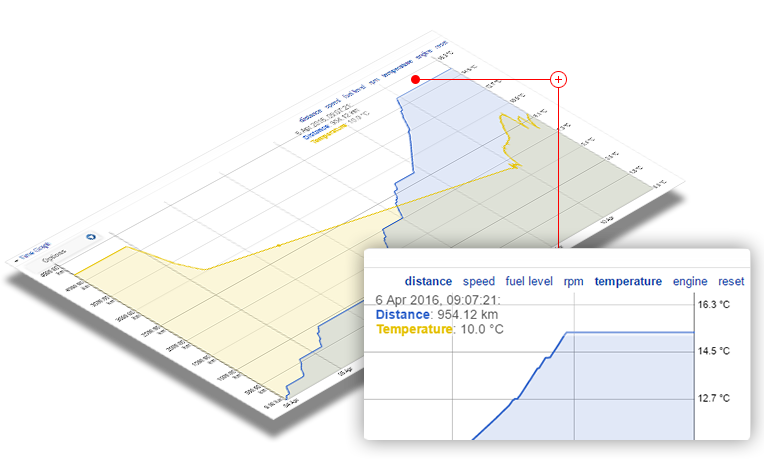 With the help of temperature sensors, you ensure that the goods or animals are transported in optimal conditions to their destination. You can set minimum and maximum acceptable thresholds, and each time these thresholds are exceeded you will be notified online, on the platform or via email. The SafeFleet devices can record, thanks to their sensors, a wide range of changes of state. 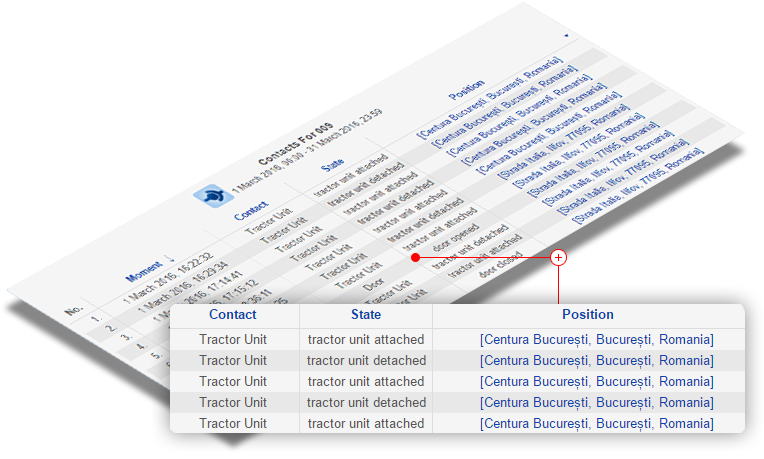 In the SafeFleet app you can view the changes related to the sensors which convey data upon opening and closing of the trailer door, upon stopping and starting the pressure pump, upon attaching and detaching the tractor, upon sabotaging the device. All the data you need can be found in the Contacts report, which provides information for each and every vehicle.